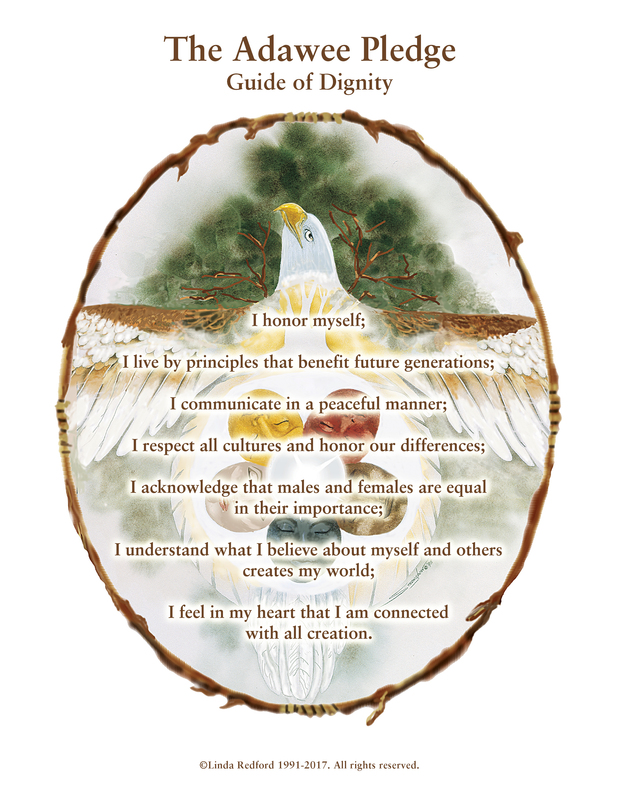 Develops critical thinking, interpersonal skills, social responsibility, and estimable character by attuning to monthly themes that revolve around 12 Universal Principles. Facilitates the child’s right to unique expression, a place of belonging, and their sense of creative purpose. Cultivates seeds of self-awareness, self-acceptance, and self-discipline. Through this process, individuals prepare and are empowered for their own self-realization! The Honor Project Guidebook is an in-depth curriculum for teachers, administrators, and parents that guides them in adopting and recreating an environment of Peace in their homes, schools, and communities. Filled with Objectives, Instructions, Reading Lists, and Discussion Points, adults learn that they have ample support on this grand endeavor! Honor Project T-shirts are a fun way to build solidarity around this common goal! Once per month, all school members are invited to wear their HP t-shirts as a way of acknowledging the progress made, and inspiring more to come! In Phase Two, we introduce the Peace Village framework to the school. This is an on-site structure set up to deal with personal issues, interpersonal conflict, and problematic behavior. HKI-trained facilitators assist individuals in resolving various situations by learning new ways of understanding and communicating. Individuals involved with the fissure are invited to share on a group or class level, the outcomes of their reparative work. Just as problems affect everyone, so do their solutions! Rather than being shunned or shamed for making a mistake, taking part in an argument, or repeating a harmful behavior, in the Peace Village every individual has the opportunity and support to restore their relationships and their reputation. This is a process by which accountability and amends can generate forgiveness and repair where harm has been done. Because destructive behavior is driven by Infected Belief Systems (as outlined in The Crisis) the problem exists beyond the individual’s manifesting symptoms. It extends outward to also reveal a larger social deficit. For this reason, families, schools, and community members are encouraged to be involved in this process of problem-solving, and solution-seeking. Designing and creating a symbolic Adawee Peace Pole to be displayed on the school grounds. The visual presence of this Peace Pole would be a constant reminder of the common goal of Peace that we are all striving to achieve. Designating an Honor Project Day, where on one day out of every month the student body and faculty all wear their Honor Project T-shirts in recognition of this goal. Participating in weekly or monthly trainings, workshops, or lectures that meet the needs of the community’s re-education process. Whether this is achieved through weekly trainings on trauma, developing boundaries, or non-violent parenting, the community members work with the HKI-trained facilitator to determine what services are of highest priority, and which would be of most benefit to the community. Inviting community members and businesses to support this educational transformation will reinforce the adoption of this culture of Peace. With simple gestures, such as Honor Project bumper stickers or a poster in the window, community members can become a part of this movement, and support the peaceful development of their community’s children. The effects of the Honor Project are tremendous and revolutionary. This trauma-informed, restorative, and creative project aligns with what science now determines to the solution to many of today’s biggest social and communal challenges. Join us on this journey by signing up for The Honor Project! In 1929, anthropologist Arnold Van Gennep coined the term rite of passage to describe the universal practice of ceremonializing life’s major events. Rites of passage were ways of consciously recognizing and supporting human identity and development throughout the lifespan. The honoring of such events brings about an increased sense of stability and connection with the self, others, and the environment. Rather than a rite, we claim that this is a right of passage, a right that each child is gifted when they are born. In her book, Trauma and Recovery: The Aftermath of Violence – From Domestic Abuse to Political Terror (1997), Judith Herman, Professor of Psychiatry at Harvard University and researcher on traumatic stress, wrote, “The core experiences of psychological trauma are disempowerment and disconnection from others” (p.133). HKI’s model of reintegration facilitates the opposite, which is empowerment and connection. By creating a safe and non-punitive environment, children feel courageous enough to identify, acknowledge, and own their impact on others (empowerment), while being given opportunities and support to amend and restore those relationships, and are welcomed back into their community (connection). We speculate that when young people feel supported and valued by the larger community and its members, they will be less likely to rebel, vandalize, or steal from those representing it.